The full-service Brownsburg, Ind., facility will be the 111,000-member IMCUs 24th location in central Indiana. 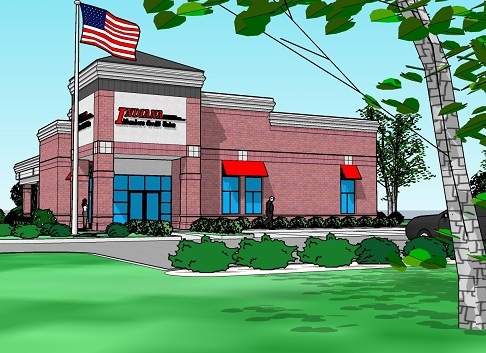 Here is an artist’s rendering of where IMCU’s new Brownsburg branch will be located on North Green Street in Brownsburg, Ind. The $1.4 billion Indiana Members Credit Union plans to open a new branch early next year in Brownsburg, Ind.